Hertfordshire Cricket recognised that in order to provide cricketing opportunities for people with disabilities, the delivery had to be done outside of the traditional cricket environments, such as clubs and schools. Working with community groups, we have built up a network of community centre’s, village halls and leisure centre and other environments familiar to the service users. We have found that the service users are much more responsive when working in familiar surroundings and their work rate is much higher and more intense. In order to reach and engage as many people as possible, cricket is delivered in a number of different formats. For people with more severe disabilities we are able to deliver a table top version of the game. 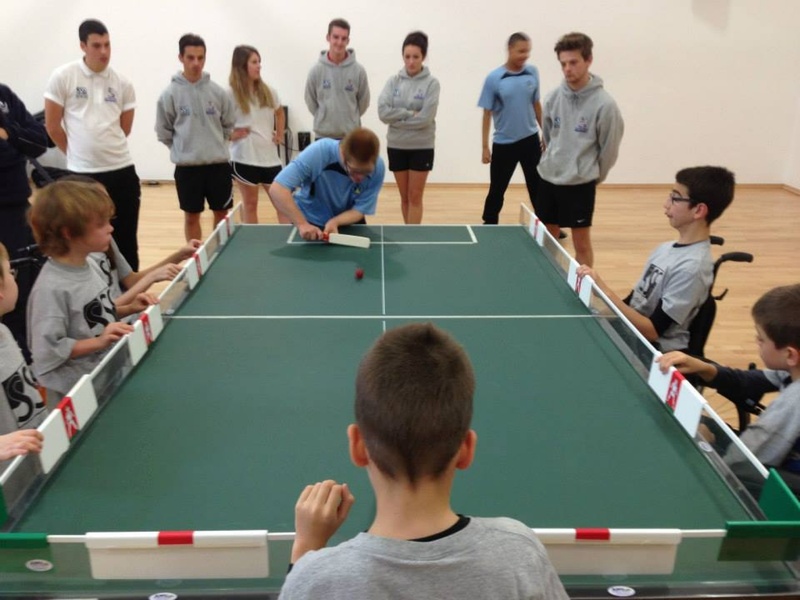 Table Cricket is played on table tennis tables in a miniature form and gives those participating the challenge of co-ordination and tactical awareness. Work is also taking place in a number of the counties’ SEN schools with coaching sessions being funded through the Chance to Shine and Satellite Club initiatives. An ‘after-school’ club is also running at an SEN school in Stevenage, which is one of a very small number in the UK.